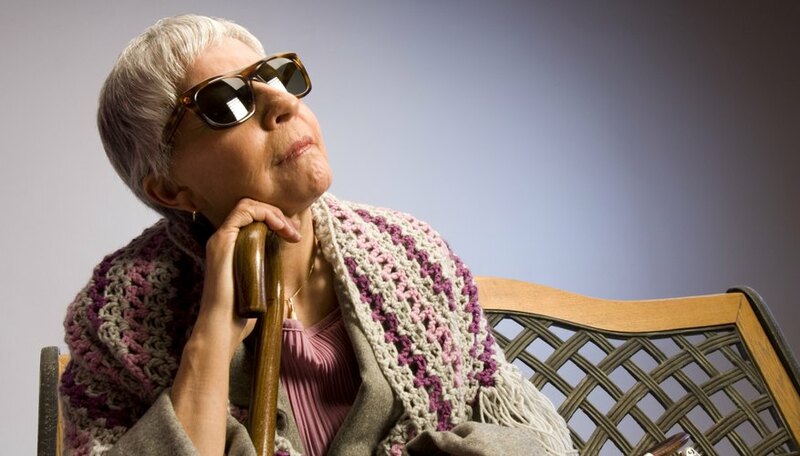 When it comes to blindness in seniors, some were born with it and others became blind later in life. In any case, the absence of eyesight does not mean an absence of a productive and fun life. The loss of one faculty often results in the heightening of others in compensation. Therefore, these activities revolve around using the other senses. The elderly blind can participate in and find enjoyment in several activities. These activities help families cope with their loved one's disability and brings them closer together. The Internet is an immense source of activities, the primary ones being radio and music downloads. You can download radio shows and favorite songs. Choose times each week where you listen to these shows with your loved one. You do not necessarily have to make an announcement about it, just casually flip on the program and make everything else quiet. This is a great way to soothe the mind, revive it, as well as reminisce about the past. Internet downloads of audio books are also available. Such activities are ideal for people who may have to spend their time in nursing homes or are alone for long periods during the week. When you let visually impaired individuals choose audio books for themselves, it ensures they will listen to things that interest them. With advances in technology has come several games developed for those who are visually impaired. Audio games use audio feedback and easy-to-use controls to help individuals who can't see, play. A computer is not necessary to play these games and they are portable. An additional advantage to these games is that all age groups can play them. This makes them an ideal game for bonding between the elderly and their younger family members. One popular family activity that the blind can partake in is video entertainment. There are blockbuster movies for the visually impaired that include audio descriptions of the scenes and the expressions on the characters' faces. Seniors may enjoy hearing the voices of their favorite actors, such as Clint Eastwood or Morgan Freeman, and there are many different genres of movies to choose from. Some popular games make use of other senses. Audio-based activities can be of immense use to seniors. For those who love nature, audio recognition games, of wild animals and birds, can be a good past time. There are several downloads available online. It is never too late to learn something new. If the ability is not already present, learning Braille opens a completely new world of literature to the blind and perfects the sense of touch. Another tactile activity is that of pottery. Shaping a pot is all about touch and this is a hobby easily learned and enjoyed; however, it requires accompaniment. Blind seniors also can play several card and dice games. Braille cards and dice, with raised numbers and built-in chimes to help the player locate them, are available. Listening to spiritually enlightening talks, recitations and sermons and reading the same in Braille are activities that may bring peace and joy to vision-impaired seniors.